NCHS graduate Luca Brillo won the Griffin Conway Memorial Scholarship this year. 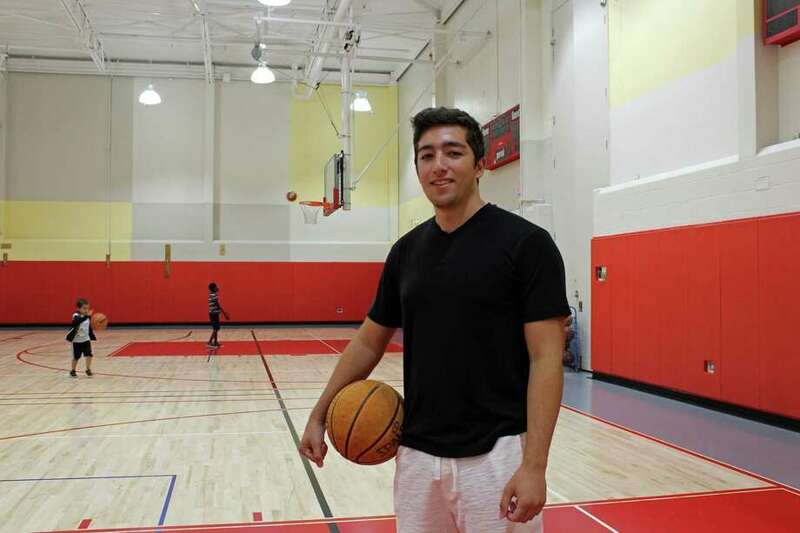 NEW CANAAN — When Luca Brillo came to New Canaan in eighth grade, he knew it would be different from Stamford, where he had lived prior. Basketball at the YMCA, his mom said, would be a good way for him to get to know people. “The basketball team is very helpful and the coaches also helped me to bridge the gap when I first came here,” the 18-year-old recent high school graduate said. By his senior year, Brillo had forged a special relationship with the YMCA as a basketball player, camp counselor and worker. The future University of Alabama student remembers when he got the email notifying him that he had won a $1,000 scholarship. Kyle Demayo, a basketball teammate, had recommended Brillo for the scholarship emphasizing his optimism and grit. “Luca embodied mental toughness and passed it on to all of his teammates, never letting us get down while the game was still going, encouraging us to never give up until the buzzer sounds,” Demayo said. Kristina Barrett, Vice President of Financial Development at the YMCA, said that the interleague tournaments at the locale could include between 900 and 1000 participants from second grade to high school. Brillo noted that even though basketball tournaments were within the YMCA, it could be very competitive. At New Canaan High School, Brillo also played baseball and football his first two years of high school. The Griffin Conway Memorial Scholarship honors the late Griffin Conway who died in 2009, at the age of 22. The $1,000 scholarship was established in 2014 and is given to one New Canaan High School graduate per year. Conway was a long-time Y-Ball participant “who promoted mentored younger players, promoting sportsmanship, teamwork, and self-confidence, along with helping to foster a love for the game,” according to YMCA history. Conway died of a heroin overdose in Wilton in 2009. This Friday, Brillo embarks to Alabama to prepare for his freshman year studies in marketing and advertising. “I’m excited for football and to see what Tuscaloosa is like,” Brillo said. After four years at the YMCA, Aug. 13 was his last day working at the YMCA. “It feels sad but I know I have to move on and start college. It’s a great job and it’s nice to help out,” Brillo said.